UI for a real-time control system for environmental noise. 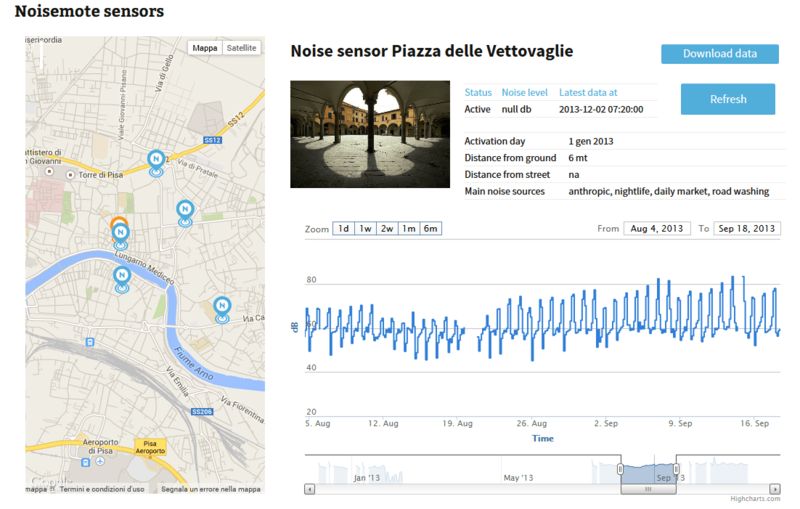 Noisemote is a real-time service for environmental noise control. 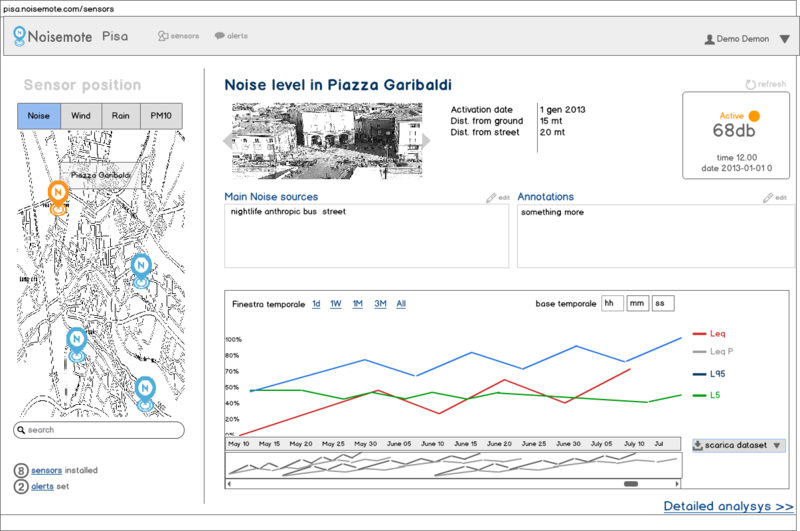 Noisemote sensor nodes constantly monitor the environment by collecting data and sending real-time alerts when noise levels exceed the prescribed treshold.Sensor data are represented through charts and tables through the Noisemote web application with reserved access. The system stores the data acquired, allowing also to view and analyze trends over time. The project is being actively developed. From a UX perspective it requires two distinct efforts: the first in defining specifications and features of the web application which will be used by experts and technicians, the second in developing a broader concept which may include citizen monitoring and crowdsourcing of data. Filed under Projects, UX/IA. Tagged smart cities, urban sensing.